Intel’s (NASDAQ:INTC) market price currently stands at around $44, which is over 20% higher than a year ago. This run up was driven by the company’s impressive quarterly results throughout the year. Despite competition from AMD and Nvidia, Intel grew its operating income by nearly 50%. That’s extremely impressive for a company as large as Intel, and much of this improvement came from a rebound in margins from the prior year, as the company benefited from price increases. With that said, it will be interesting to see how the company performs throughout 2018, and if the stock has scope for significant further growth. 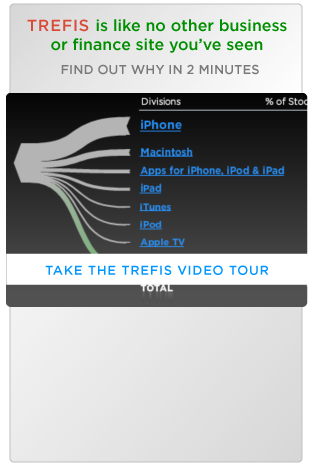 We have created an interactive valuation calculator dashboard using Trefis’ interactive technology where you can modify inputs such as EBITDA multiples and fundamentals determining Intel’s 2018 EBITDA (earnings before interest, taxes, depreciation and amortization). Our base case gives a $48 price estimate for Intel, assuming that Intel’s EBITDA multiple will remain unchanged at around 8.5, and the company’s EBITDA for 2018 will surpass $26 billion. We estimate that Intel’s Client Computing Group’s EBITDA for 2018 will hit $14 billion, making it by far the most valuable segment. Another $8.8 billion is likely to come from the Data Center Group, with the other two segments contribution a combined $3.4 billion. These forecasts are based on the assumption that Intel will see moderate revenue growth along with slight margin expansion. If you have a different view, go to our interactive valuation calculator dashboard and modify the assumptions (blue dots) to come up with your own price estimate for Intel.